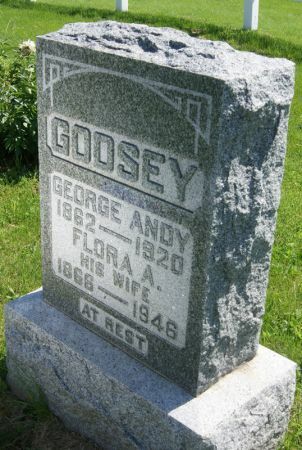 George Andrew Godsey, son of Edward Samuel Godsey and Elizabeth Minerva Dowis, was born Dec. 16, 1862 in Nodaway Co., Missouri and died Oct. 14, 1920 at Athelstan, Taylor Co., Iowa. He married Flora Ann Cordell Feb. 2, 1884 in Nodaway Co., Missouri. She was born Oct. 11, 1866 near Athelstan, Taylor Co., Iowa, daughter of Marion Francis Cordell and Lodicia Violet King, and died Jan. 28, 1946 at Athelstan, Taylor Co., Iowa. Obituaries available Taylor County, Iowa gen web site. Searching for FLORA ANN CORDELL GODSEY in Taylor County Iowa?